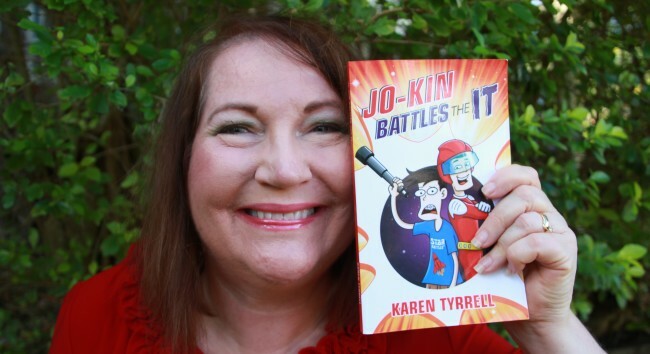 A radio journalist will interview me on my hilarious children’s space adventure Jo-Kin Battles the It (Super Space Kids #1) and how writing it helped me survive tough times. Jo-Kin Battles the It became a fun-like refuge as I simultaneously wrote a gut-wrenching memoir, Me and Her: A Memoir of Madness. 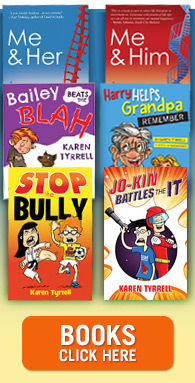 I, Karen Tyrrell, teacher struggled with mental health issues triggered by severe bullying and harassment from a school student and their parents. 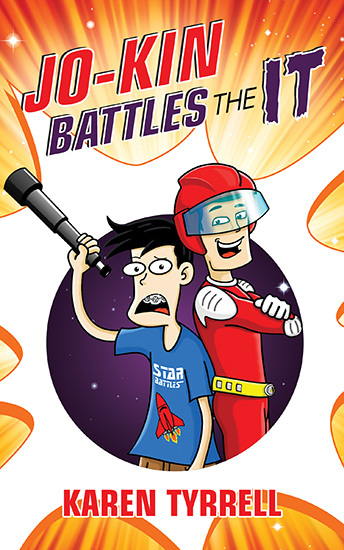 Josh Atkins aka Jo-Kin must save Captain Astra and the galaxy from the IT before it’s too late. 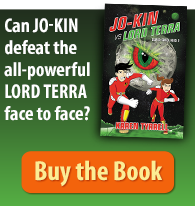 Jo-Kin Battles the It is jam-packed with Super Space Kids, killer robots, incredible gadgets and gruesome monsters. 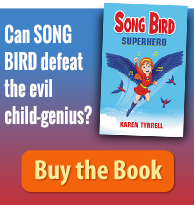 Karen Tyrrell (author) shares resilience skills, team building and brain power within the story. She teaches kids how to be a hero in their own lives. Meet Karen and Steve Tyrrell both dressed as outrageous Super Space Heroes. The interview will be recorded and I’ll post the link HERE next week. Are you tuning in to my Radio Interview?